UPC Blog » Amar Goussu StaubWhat strategy should determine whether to opt-out of the UPC? As the UPC will start its operations in the near future, European patent owners must determine their opt-out strategy. 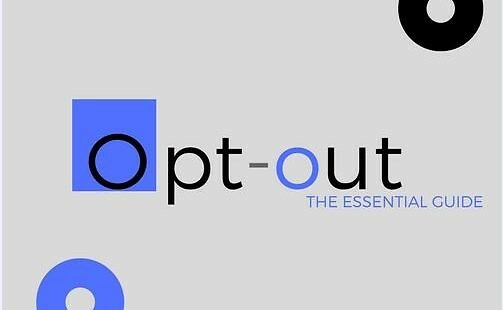 Indeed, deciding whether to opt out a European patent is a decision which requires analysing the scope of competence of the UPC and the scope of enforcement of its decisions, along with litigation costs and case law. Revocation action of non-opted out European patents and Unitary patents. Infringement action of non-opted out European patents and Unitary patents. Action for declaration of non-infringement. Action for compensation for licences. Action against any decisions of the EPO. Patent owners will submit their infringement actions before a unique court, and will be able to ask for the enforcement of the UPC’s decisions in all Member States that have ratified the agreement. An action before the UPC therefore eliminates the need for duplicate procedures in each EPC country where the patent has been validated. Actions before the UPC would thus be more efficient and time effective, especially when dealing with patent infringement across multiple Member States. As a result, a single decision of the UPC will have the capacity to revoke non opted-out European patents for the whole territory of the 26 contracting member states. Conversely, an opted out European patent needs to be assessed by 26 national courts to face the same fate. The diverse backgrounds of the future appointed judges has raised the question of the coherency of the UPC case law. In fact, the panels of judges will be made of legally and technically qualified judges from different nationalities and legal traditions . The UPC Agreement provides for such discrepancies to be addressed through the training framework provided for at article 19 of the UPC Agreement. However, it is difficult to assess whether such training will be enough to create a coherent interpretation of patent issues throughout the UPC divisions. In situations where the litigant initiates multiple actions before national courts, costs can add up quickly. Indeed, the litigant has to pay for the court fees of several national courts and the costs of legal representation. Proceedings before the UPC could thus be cheaper than multiple national proceedings. In fact, although litigants would have to pay the UPC’s fixed and/or value based fees as well as the cost of representation, the action initiated would cover 26 countries. If you have opted-out your patent, you will have to bring your infringement action before the national courts of the countries where your patent is protected and where the alleged infringement has been observed. If you have not opted-out your patent, you will be able to choose between national infringement actions or a unique infringement action before the UPC. If you have opted-out your patent, the third party must bring its action before the national courts of the states where the patent has been validated to obtain the revocation of the national part of the European patent. If you have not opted-out your patent, the third party could choose to go before national courts or could chose to lodge its revocation action before the UPC to try to obtain the patent revocation in all the Contracting Member States. An interim procedure, which may include an interim conference with the parties. An oral procedure which, shall include an oral hearing of the parties unless the Court dispenses with the oral hearing with the agreement of the parties. A procedure for the award of damages, which may include a procedure to lay open books. A procedure for cost decisions. The proceedings should last around one year before the First Instance Court. This is faster than in most European countries where the average length of an infringement action is around two years. For example, in the First Instance Court of the UPC, an infringement action will cost €11,000; to which must be added a value-based fee ranging from €0 to €325,000 (depending on the value of the action). A revocation action on the other hand will cost €20,000. These general guidelines are in no way meant as a substitute to legal advice from an IP lawyer and may not cover all the details of your specific situation.